Our goal with general dentistry is to help patients from Allen Park and beyond maintain a healthy smile free of the most common oral health problems. For best results, we recommend visiting us at least twice a year for routine care. With this restorative service, Dr. Stankiewicz can help you replace a single tooth, multiple teeth, or an entire row of teeth. Do you want to know if you’re a candidate for dental implants? Schedule a consultation appointment with us today. Don’t let interrupted sleep or snoring ruin your health and wellbeing. With a custom-made oral appliance, our Allen Park dental team can help you sleep better so you wake up feeling refreshed and ready to face a brand new day. For decades, even centuries, patients have believed that whether they’ll have crooked or straight teeth is determined by heredity. Today, researchers are starting to understand that a properly aligned smile is about more than just the luck of the draw. It’s much more dependent upon the proper, healthy development of the jaw. That’s where Myobrace and other early orthodontic treatments come in. These innovative orthodontic treatments focus on addressing underlying causes of crooked, gapped, and crowded teeth. 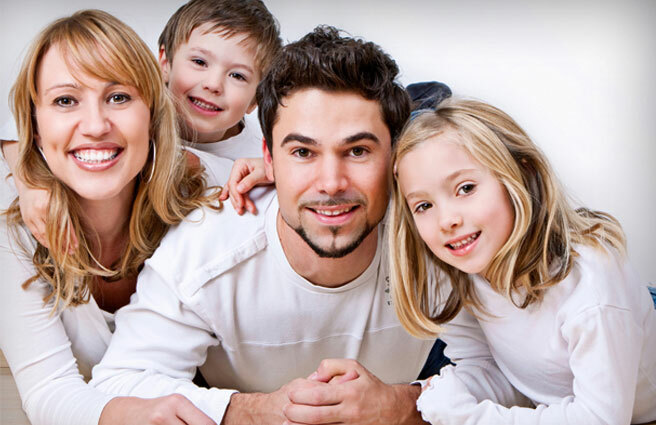 Your skilled Allen Park dentist, Frank Stankiewicz, DDS, and his dedicated dentistry team are recommending the Myobrace system for many patients. Rather than undergoing painful, lengthy orthodontic treatments using braces, young people who use the Myobrace system typically only need to undergo an hour of treatment a day! If you want to learn more about his unique orthodontic solution, keep reading or contact our Allen Park dental practice to schedule an orthodontic consultation today. We look forward to seeing you soon! What Causes Malocclusion (Crooked Teeth)? People have long assumed that crooked teeth were the luck of the draw. Some lucky people were born with straight teeth and others had to deal with misalignment. In recent years, this long-held belief has been essentially disproved. 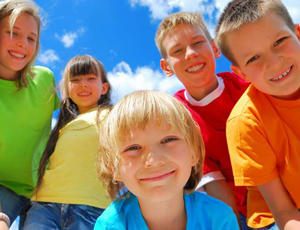 Today, we understand that a child’s health and development from a young age have much more to do with whether or not they will need orthodontic realignment later in life. Most cases of malocclusion occur because of developmental concerns that prevent the jaw from developing properly, leaving inadequate space for adult teeth to erupt. This can occur due to mouth breathing, thumb sucking, tongue thrusting, reverse swallowing, and other issues that create limited or incorrect jaw development. Mouth breathing at nighttime is one of the leading causes of incorrect jaw development. This form of sleep disordered breathing is now recognized as an early indicator that your child may be developing obstructive sleep apnea. How Does Traditional Orthodontic Treatment Work? While most dentists and orthodontists now recommend kids receive an early evaluation for their orthodontic needs, the majority of intervention doesn’t occur until after permanent teeth erupt. 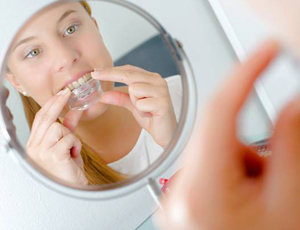 Traditional early intervention orthodontic treatments address specific issues. For example, palatal expanders address the narrow palate (upper part of mouth inside the jaw) that can occur, but it fails to address the development of the whole jaw. For those patients whose teeth are crowded, one or more permanent teeth are often removed before orthodontic treatment begins. This can change the shape of the mouth and face, and it doesn’t address underlying concerns that affect the shape and development of the jaw. Instead, brackets and wires or alignment trays force teeth to shift into alignment that works within the existing jaw line. Myobrace is an orthodontic treatment that addresses the underlying causes of malocclusion during dental development rather than forcing changes after the jaw, teeth, and oral structures are already fully formed. As dentistry and medicine in general begin to shift focus from responding to issues only when absolutely necessary to preventing health concerns before they start, a system like Myobrace is an obvious next step. This preventive orthodontic solution can be used to correct underlying developmental issues that will lead to a need for traditional orthodontics. The system uses a series of oral appliances that are worn for one to two hours a day and overnight to encourage ideal jaw development. 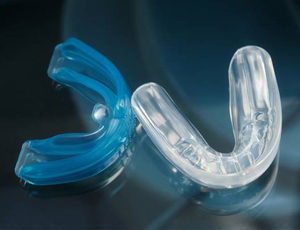 Who Should Consider Orthodontic Treatment with Myobrace? This treatment is typically recommended for kids from ages 3 to 15, especially for those who are struggling with thumb sucking, tongue thrusting, or mouth breathing habits. Those young people who show signs of sleep disordered breathing can especially benefit from treatment using Myobrace, and there is a unique system geared toward helping them develop proper jaw, throat, and airway structure. 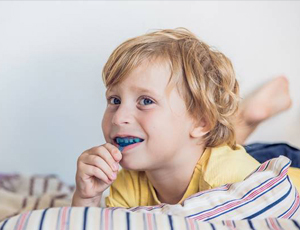 This specialized orthodontic treatment is the Myosa System, and it can help kids avoid obstructive sleep apnea, TMJ dysfunction, and other health conditions. 1. Habit correction – appliances help young patients learn to breathe through the nose, keep their tongues in the ideal resting position, swallow properly, and fully close the mouth. 2. Arch development – the upper part of the mouth may need to be widened or deepened to avoid underdevelopment that can limit tooth development and lead to inadequate space for teeth and tongue. 3. Dental alignment – when the adult teeth are beginning to erupt, this part of the Myobrace system guides the teeth into their ideal placement, ensuring the best function. 4. Retention – as is the case with any orthodontic system, the results need to be maintained. The retention stage uses the same limited wear aligner to hold teeth in their new position and ensure patient retention of good habits. What are the Benefits of Myobrace Treatment?